It is is requirement of our club that the amount of time actually participating in any sport is reduced to a minimum, and the time spent talking about where we might walk or climb, whilst sat in a pub drinking beer, is maximised. Hanging around Cotswold Camping, or similar, looking as though we're about to buy some technical-looking gadget is also permitted. In fact, it's all we can do at the moment as Graham's knee is no bloody good! 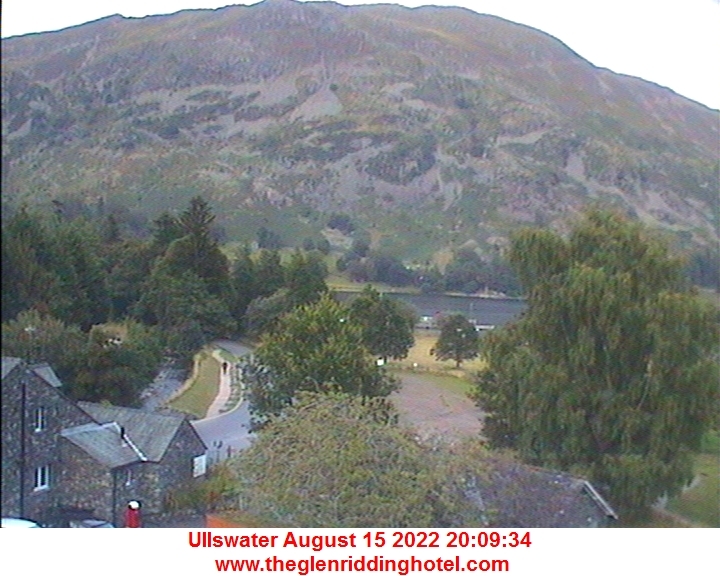 The webcam image is courtesy of the Glenridding cybercafe. If this image doesn't appear, the remote camera is off line. This is Priesthole Cave on (in?) Dove Crag, above Sykeside Camping, Brotherswater, grid reference NY 375109 or thereabouts. This is me and Graham, as usual, plus Mark Wynne, and David Wynne, who looks like he's stuffed in Mark's rucksack. Priesthole Cave is an interesting stop-over, or a bivvy for those who prefer just being cold rather than wet and cold. It's usually got a packet of instant noodles, water, kettle and barbecue fuel handy. Drop off any spare non-perishable goodies if you pass by! Easy Gully, on Pavey Ark, between Christmas 1995 and New Year 1996, with John Kelly and Phil Clements. A frozen Stickle Tarn is in the background. John wimps out of Jack's Rake again! Wot's this Jack's Rake you keep going on about? A note also to the flip-flop and pushchair brigade - Don't! Here's an outline of the two routes. Both are covered in Wainwright's 'Central Fells' book in sufficient detail for the scrambler. If you're one of those affiliated to the Plummet Climbing School, you won't need the book at all. Here's a great webcam! I've only just found this one, provided by The Langdale Web. This is my favourite valley in the whole Lake District. John Kelly's "Celebration of Jack's Rake"
Now that you've done it, what was all the fuss about, you big baby? John finally managed his first ascent in April or May, or thereabouts, 1997, and according to Phil Clements, with only a small amount of whining.